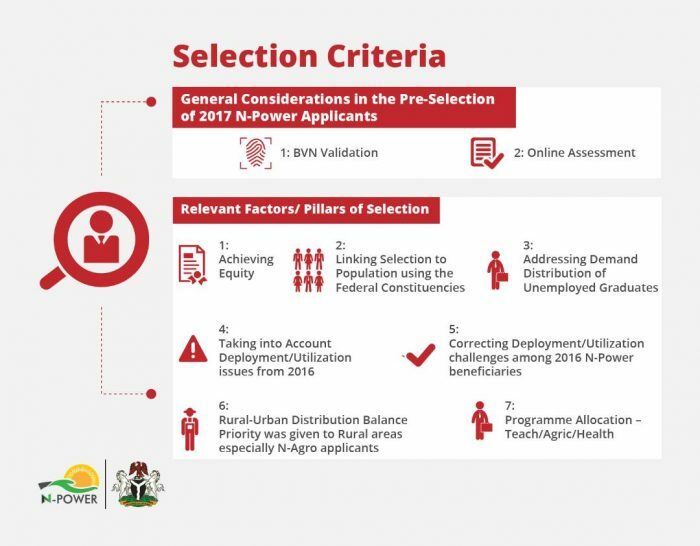 The physical verification of the 300,000 successful pre-selected applicants of the 2017 Graduate N-Power scheme of the Federal Government is to now hold from December 4 to December 14, 2017. This is against the earlier date of November 27 to December 4. 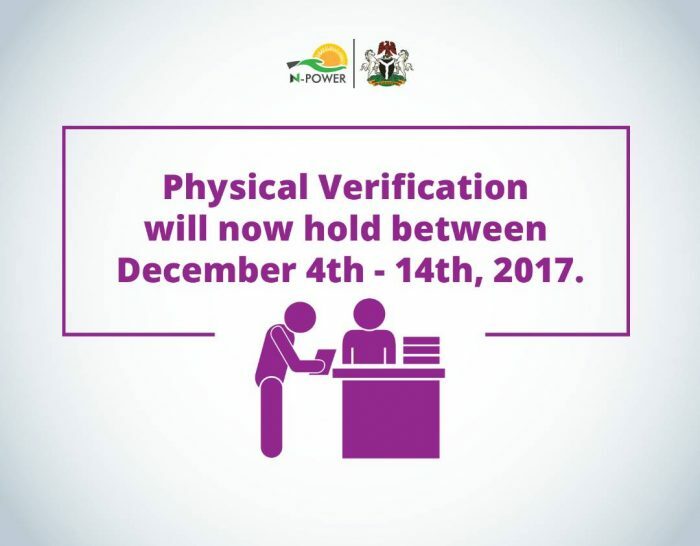 Information from the handlers of the scheme indicates that the physical verification is expected to be followed by the compilation of successful applicant names before final selection and deployment. 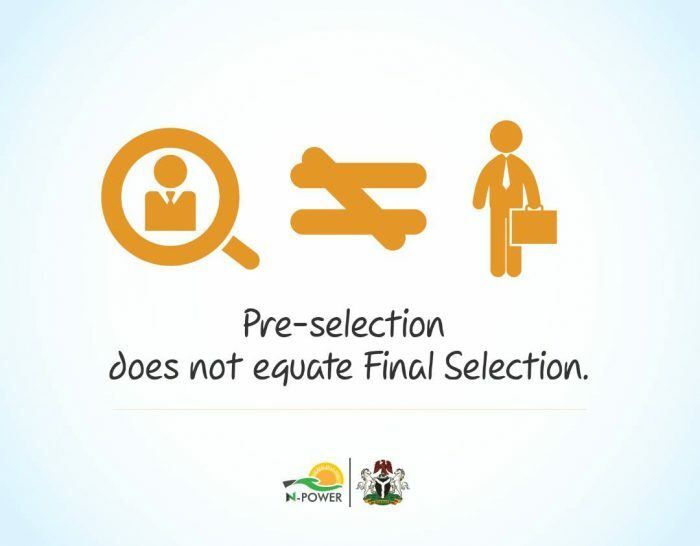 The handlers of the scheme however said pre-selection of applicants does not automatically confirm the success of their application as only those that are successful after the physical verification will benefit from the Federal Government intervention. 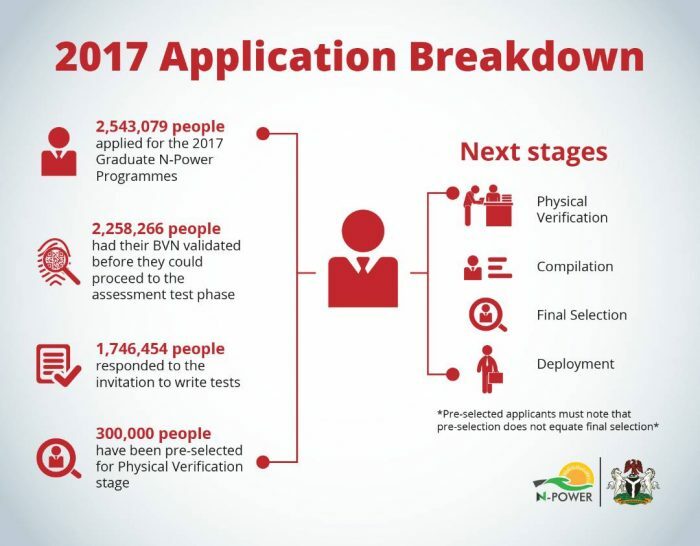 The information states that in about 2,543,079 people applied for the 2017 Graduate N-Power programme, 2,258,266 were verified with their BVN, 1,746,454 responded to write tests in which the final 300,000 pre-selected Graduates were drawn. 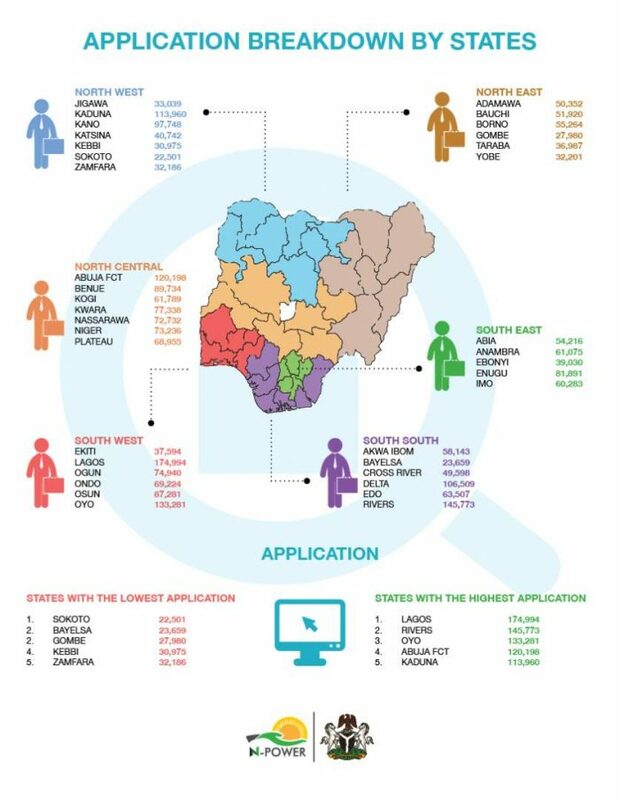 Lagos led the park with 174,994 applicants, Rivers took second with 145, 773 while the State of Osun had 87,281 applicants in the registration stage.